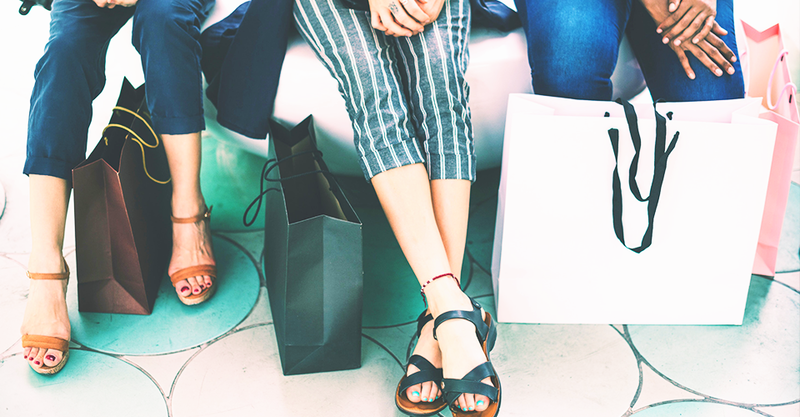 My three favorite tips to mastering the daunting post-purchase consumer experience. he consumer post-purchase experience can be daunting for shippers to manage throughout the year, and even more so during peak purchasing seasons. A positive post-purchase experience leads to customer retention, increased sales, and a boosted brand image. View our recent REACH webinar featuring Rick Hernandez of Pitney Bowes and his five tips to mastering the post-purchase consumer experience during the busy holiday season and beyond. You can hear all of Rick's suggestions and the supporting data in our on-demand webinar or continue reading below for my top three of Rick's post-purchase experience suggestions. We are seeing many brick and mortar stores close their doors to focus on e-commerce, making the location of fulfillment centers even more important. By supplementing a core distribution center with one or two strategically placed fulfillment centers, retailers are better able to increase delivery speed and decrease transportation cost. Pitney Bowes has helped many clients do exactly this. A change in strategy such as this can result in as much as a 15% drop in their transportation costs and a decrease in delivery times by 1.2 days. Other benefits of strategically locating fulfillment centers include improving the customer experience and reducing the outreach to customer support. A shipping study done by Colography in 2017 revealed that 85% of retailers are still using separate carrier-provided shipping systems. They may use two or three of these systems within their shipping platform, but the systems are not integrated with one another. This disconnect causes unnecessary expenses for the retailer when the most affordable carrier is not utilized, and a longer delivery time for the consumers. It is important that shipping systems are constantly evaluated to give shippers the most sophisticated, dependable, and adaptable systems. However, 91% of retailers who ship 60 to 1,999 shipments per month are operating with outdated shipping systems that are more than 4 years old. Pairing a fully integrated, multi-carrier, shipping system, with the knowledge of carriers’ strengths and how they fit with the retailer’s needs, can automate and simplify their shipping strategy. In turn, this will improve their bottom line and increase customer satisfaction. Operating internationally is imperative in any business strategy. Sixty-two percent of retailers reported they already operate internationally, while 31% have plans to go cross-border within the next 12 months according to Colography. The remaining 7% of those surveyed by Colography, are without plans to expand their sales internationally. They may understand the opportunity within international growth, but the roadblocks may seem disheartening, after all, logistics is only a small part of international expansion. Once operating cross-border, retailers need to be prepared to handle international customer conversion and optimization, fraud and compliance, post purchase customer care, global marketplaces, marketing and demand generation, and international customers’ expectations. To learn the five steps to mastering the post-purchase experience and see more statistics, tips and tricks, check out ConnectShip | iShip’s REACH Webinar, 2018 Holiday Readiness Guide, presented by Pitney Bowes.